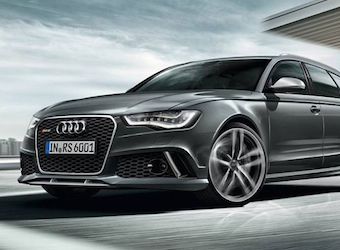 In Australian media news this week, Audi sponsors BBC First, a newly released app builds radio ads and Pandora Internet Radio reached two million users. Audi has signed on as official launch partner for BBC Worldwide Australia and New Zealand’s new Foxtel channel, BBC First, which starts on Foxtel on Sunday 3 August. The six month sponsorship package secured by MCN and Mediacom will give Audi a prominent presence on screen and online, including exclusive sponsorship of Sunday evenings on the channel, as well as shared sponsorship of Mondays and Thursdays, featuring programs including The Musketeers, Peaky Blinders and The Honourable Woman. Agency DDB will work with BBC Worldwide ANZ’s creative team to create launch sponsorship idents and Audi on-air branding, while Holler will secure premium partnership placements for Audi on the channel’s website, bbc.com/first. During November Audi will also sponsor the premium drama programming from BBC First to air on Foxtel Go. BBC Worldwide ANZ’s Creative Team has created the launch sponsorship idents working to the brief ‘The Best Stories Come Down To The Details’. The Audi advertising will showcase the finer details in the manufacturing, testing and finish of Audi motor vehicles that make them a premium commodity. A new free iPhone and iPad app is allowing businesses to quickly and simply create their own demo radio advertisements. The Sirens EarApp was born out of a partnership between Commercial Radio Australia, international radio and audio specialist agency Eardrum Australia and Brussels-based Cobra Radio Brewery. Users can choose the length of their ad, record the script, add sound effects and musical accompaniments and within minutes create a demo radio ad. Commercial Radio Australia chief executive officer Joan Warner praised the ingenuity and originality of the app following its launch at the 2014 Siren Awards. Pandora Internet Radio Australia and New Zealand has reached two million registered listeners since launching in December 2012, through almost doubling its listener base in less than 12 months. Pandora ANZ’s users are accessing more than 29 million personalised stations through their connected devices, enjoying highly customised music and comedy streaming. Nearly 75% of monthly personalised radio listening is done via mobile and other connected devices. Pandora ANZ managing director Jane Huxley said customers and technology were propelling radio’s evolution. “Key to Pandora’s success is that we offer listeners an interactive and social experience that is incredibly personal, and artists a channel to be discovered by a new legion of fans. News Corp’s national news website news.com.au is Australia’s number one online news site, leading in key verticals and user engagement, according to Nielsen Online Ratings for June. News.com.au’s was ahead of the Sydney Morning Herald and NineMSN by 234,000, with a unique audience of 3,730,000 for June 2014. The site also has the largest and most engaged news audience, with 179 million page views for the month and the average person clocking 48 page views and spending an hour and 11 minutes on the site. News.com.au general manager Julian Delany said June saw the site’s largest unique audience figures. The site is number one in entertainment, finance, technology, travel and number two in lifestyle behind taste.com.au. “The levels of consumer engagement with our brand shows our audience is increasingly spending time with the site across a variety of stories,” Delany said. Editor Daniel Sankey said news.com.au was many readers’ first choice when news broke.